This term, at school, Bear has been studying various cultures from around the world – their traditions, their history, their beliefs. Of course, with the first Tuesday in November falling firmly within the cultural explorations unit, home comes a note that as part of this, they will be discussing this “iconic Australian cultural event” (HAHA I see through you, cheeky, teachers. Passing off the Melbourne Cup as an educational experience, nicely played indeed), and could the children please dress up for the cup & bring a plate. 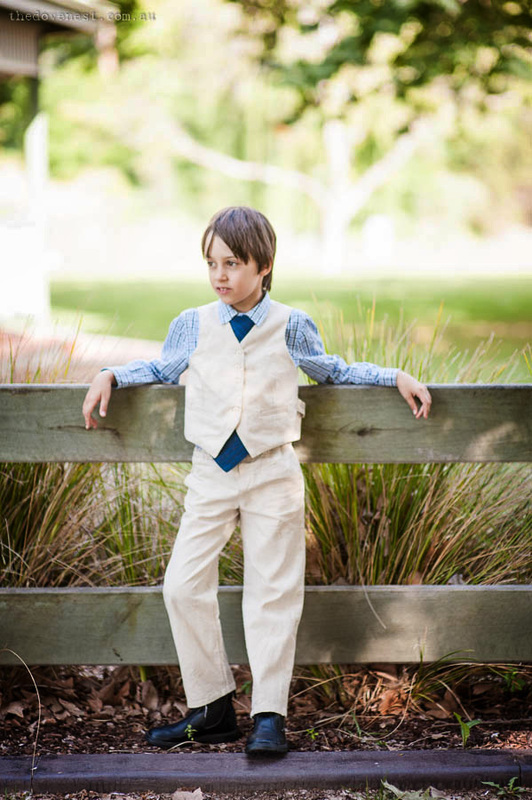 I already had the pants made, and, to be quite honest, it was a good excuse for me to finally make the matching waistcoat. It was my first time making welt pockets (I skipped them on the pants due to time contraints), and they were a lot easier than I expected. And yeah, I know the pants a touch short, I think the little ratbag has had yet another growth spurt since I made the pants 4 months ago. The shirt was one from his wardrobe, and a tie was pilfered from daddy’s collection to round out the look for my dapper little race-goer. Don’t you think he’d fit right in in the member’s stand? So with the outfit under control, that left the food. 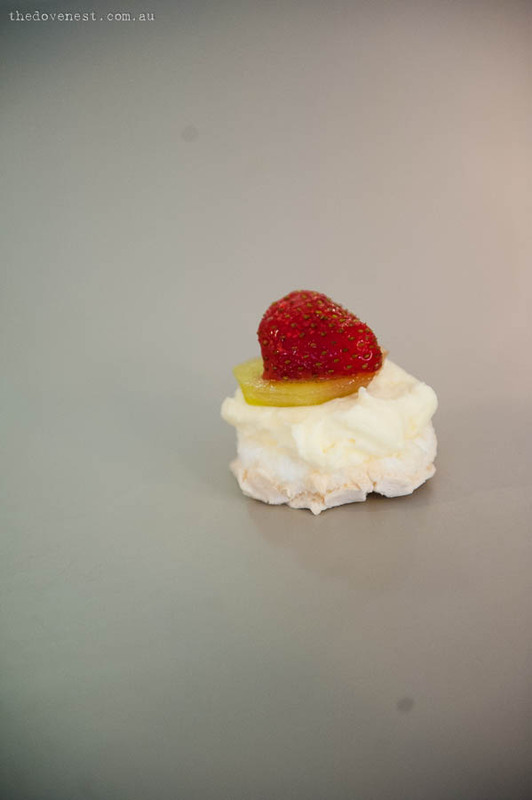 And really, what could be more Aussie than pavlova? I whipped up a couple of trays of meringue sheets, and cut out circles to form the base of my mini-pavs. 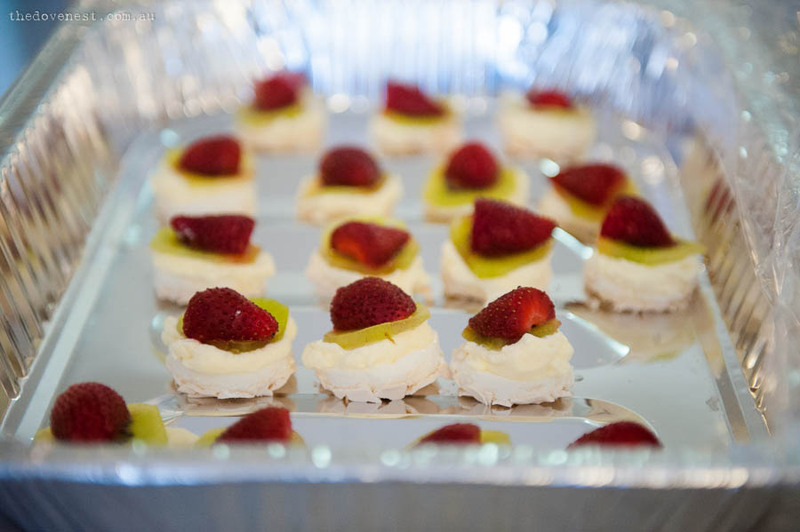 A dollop of cream, a slice of kiwi fruit and half a strawberry and voila, a tray of mini-pavs. And that, my friends, is how my eight year old ended up having a bigger cup day than I did. I tizzied up a bit for Bible study, and then I spent the actual race hanging with the two smallest smalls, trying to stop them eating too much of my chocolate cheesecake a very dear friend had made for me. My life is truly that glamorous. You know you’re jealous. Looks like a fabulous day! 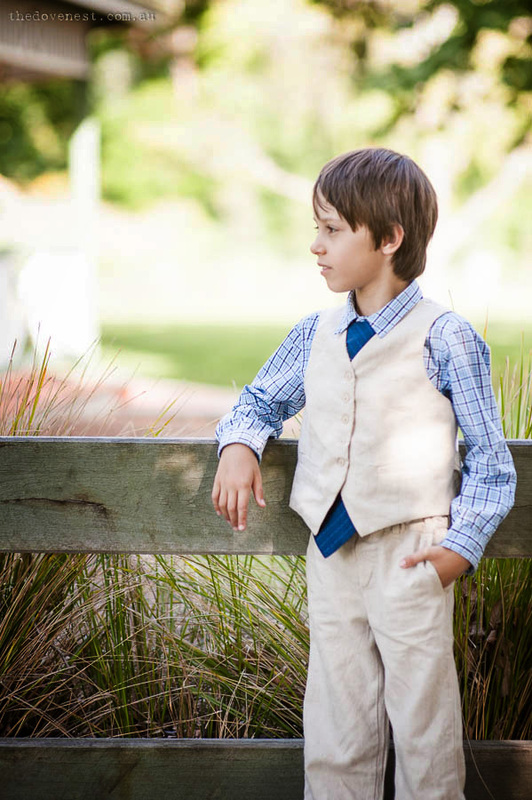 Loving the vest and the very R M Williams photo shoot. Awww, thanks Angie! I was bummed I forgot to grab the hat to top it all off with, so I’m glad I managed to hit the right vibe regardless.